But was interesting to learn, is that the NRA doesn’t have NJ on it’s radar, and it’s pretty much up to us NJ gun owners to take action. NJ is such an anti gun state, the NRA doesn’t really have a vested interest since the lines aren’t clear. There are Anti’s on both sides of the fence here, and by voting Republican can actually hurt you. And by voting Democrat can actually help you. There were a few people who said they were Pro Gun Democrats there. NJ is it’s own beast I say, on so many levels. Rule number one of gun activism is always take what other groups say about NRA with a grain of salt. That even goes for a lot of state associations. It’s not at all true that NRA doesn’t pay any attention to New Jersey: they do. It’s just exceedingly difficult to win there. New Jersey also has a good state association, even better than Pennsylvania’s, which doesn’t do donkey to stand up for gun rights over here. But that’s not to say that the message about it being up to gun owners isn’t correct. Mobilizing gun owners has always been something volunteers do. Almost half of New Jersey’s congressional districts have no EVCs. That means no one in those districts is working to help get pro-gun politicians in office, and anti-gun politicians out. NRA does not ignore New Jersey, but they can only do so much if Garden State Gun Owners don’t stand up and do something to help. I probably should have composed my post a little better, but this info was relayed by the former Republican Minority Leader, who stated he had no intention of speaking, and only came as a regular attendee. It was not relayed by the guy who is trying to get this group/movement off the ground. But I hear ya on the grain of salt thing. It’s still not really true. It is true that New Jersey gets less attention than other states but that’s because there’s not as much that can be accomplished there. You won’t see them pushing Castle Doctrine in the Garden State anytime soon. Concealed carry is pretty much not going to happen either. It doesn’t get the resources Pennsylvania does. But it’s not true to suggest that NRA doesn’t care about New Jersey, and largely ignores it. They have a lobbyist in the capitol at Trenton. Does NJCDL? As of now, I can safely assume that NJCDL does not have a lobbyist in Trenton. I’m not sure if they’ll work closely with ANJRPC or not, but I do wonder how they’ll go about getting the scoop on pending Legislation, and informing people. I think they have a good idea of what their mission is, but I’m not too clear on how they plan on going about it. I just hope things shape up when the NJ Senate gets back to work. This may be true but it does not mean that the NRA should reduce it’s efforts or just give up! I am convinced that the worse things get in NJ the more “Radical” the NJ Gun Owners should become. Also, I would like to see a major effort to bring women into the pro-gun side of the issue as this is where there is any hope of turning thins around. It’s not so much giving up. Unless the political landscape changes, you’re not going to get things through the legislature. Only gun owners can change the political landscape. This is exactly what the former Republican Minority leader was trying to convey last night. I’ve emailed NJCDL to see if they’ll reply with this Gentleman’s name. I wonder if Palin’s nomination, and possible election win, will help getting women involved. The NRA is a national organization. They serve their purpose and serve it well, but on state level issues, they are not the be-all and end-all. the NRA has its pet projects and pursue them with gusto…but if a state’s residents have an issue that isn’t on the NRA’s “to do” list, they get little help or support (or even acknowledgment that they exist). That’s why groups like the brand new NJCDL are so important at the state level. Cemetery, don’t let Sebastian’s tunnel vision deter you. I am a life member of the NRA and support them fully in their national mission (just worked the NRA table at a gun show a couple of weekends ago where we signed up about 30 new members), but I’m also a member and very active supporter of the Virginia Citizen’s Defense League. They are not mutually exclusive. I’m addressing that issue with him offline, actually. Also, I’m not really deterring him from getting involved with NJCDL, just to be aware to take a lot of claims with a grain of salt. I suggest clicking through to learn more before saying Sebastian didn’t discuss the comment. It’s an issue that’s already being discussed by both Sebastian and myself. While I wouldn’t expect you to know that Sebastian is talking to him offline, your click through should have revealed to you that I said I would be following up by email in the comments over there. And I did, along with information about how he can get information from the only ANJRPC representative authorized to speak about the organization who was not actually at the meeting. So it’s not at all accurate to say that Sebastian has refused to address the matter. It’s quite public that he has. For people who are so quick to criticize others, and often in very demeaning ways, you sure do get defensive when the shoe is on the other foot. I didn’t say that Sebastian “refused” to address it, only commented that it was interesting that he hadn’t. I wonder…had it been an NJCDL member who had said such a thing, would they have gotten a private e-mail about it? Or would the subject of this post have been very different? If anyone – member of NJCDL or not – said they heard from a representative of NRA and ANJRPC that they new media thought was worthless, yes, they would get private emails. As it is, he’s now in touch with Scott Bach and I also made the offer to get him in touch with Public Affairs at NRA so he could hear from actual representatives. It turns out that the person presenting himself as a representative of both was in fact not one for either organization. I would hope that as a pseudo-spokesman for an organization, you could appreciate why it’s important to clear these things up. However, you did say Sebastian didn’t comment on that section of the post. I stand by the fact that your statement was, in fact, wrong. Here is his comment. You clearly read the post yourself, so it can’t be said you didn’t see the page. Perhaps you didn’t scroll down to see his comment, but yes, I will respond when I see something – like your comment in this case – that is simply not true. Unless there’s an approved format for reposting individual comments on other blogs on our own blogs. I would love to know the policy that would meet your requirements for something being considered an “official” comment. I confess that I was unaware (though I read you through RSS, so maybe that’s the problem if you just have it posted on your site) that I needed to copy my comments on each and every blog out there onto my own blog in order for it to be official. This bickering is becoming pointless. I agree, dear. I just don’t like seeing someone misrepresent what you said when you actually reached out and helped to clear the air. In 1989 the NRA and NJ state association were quite active in trying to defeat Jim Florio and to elect some solid pro-gun legislators (mostly Republicans) Back then I volunteered to pass out leaflets and to canvas door to door. The NRA sent representatives from Washington to help us out and coordinate our activities. Despite out activities we lost and lost the semi-auto ban. Two years later Florio’s tax debacle and semi-auto ban helped sweep in a Republican legislature, with the NRA and State Assoc doing most of the campaign fieldwork. And guess what? The Republicans couldn’t find the necessary balls to remove the semi-auto ban. Same thing two years later when we swept Whitman into office. 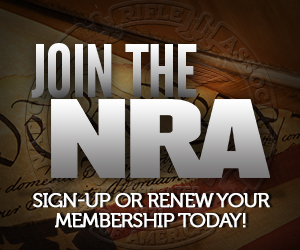 Despite the heroic efforts of the NRA, I was afterwards able to hear quite a few gun owners complain how they were not renewing their NRA membership (or not joining if they hadn’t been a member because as they said “the NRA did nothing to stop the semi-auto ban”. Yes the NRA has retreated somewhat from the fight in New Jersey but my guess is that they may feel it’s more worthwhile to invest their resources in other states where politicians actually remember who got them elected. Meanwhile the Republicans still run away from their core pro-gun constituency and try to make nice with the anti-gun crowd. And yet the Republicans still can’t seem to get elected even though their is an epidemic of Democratic corruption in the state with new (Democratic)crooks being marched off to jail every week. One more thing the radical antigunners in states like NJ, Mass and California may be the most effective partners the NRA has nationally. Their success in these states serve as sharp reminders as to just what they really want to do, thus motivating the pro-gunners in the rest of the nation to fight harder. Worthwhile observations. Thanks for the comment Mike.